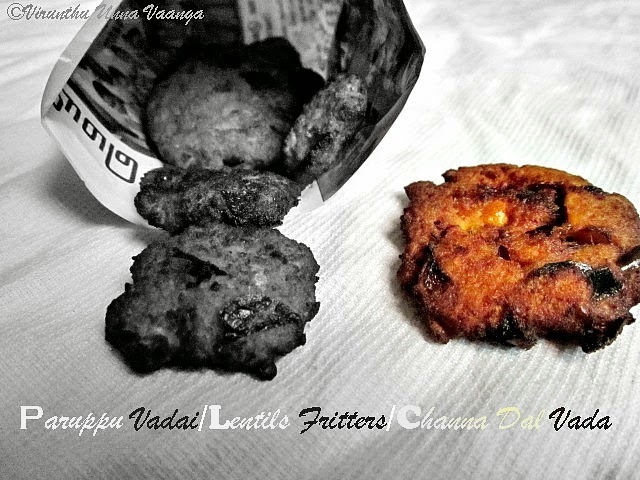 Hi dear friends, hope all are good and enjoyed weekends n active start of the weekdays... Let’s start the week with hot and crispy snack Masala Vadai or Paruppu Vadai. 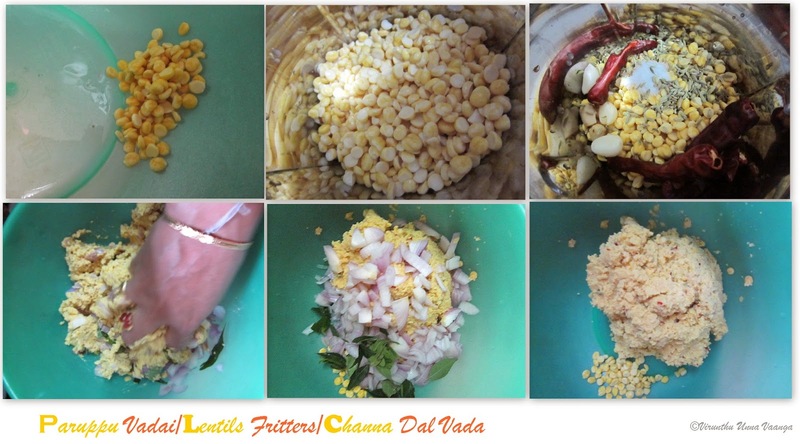 Take one Tbsp of chana dal and put remaining dal in the blender with garlic, fennel seeds, dry red chillies and salt blend it coarsely, if you feel very dry sprinkle some water and blend it. 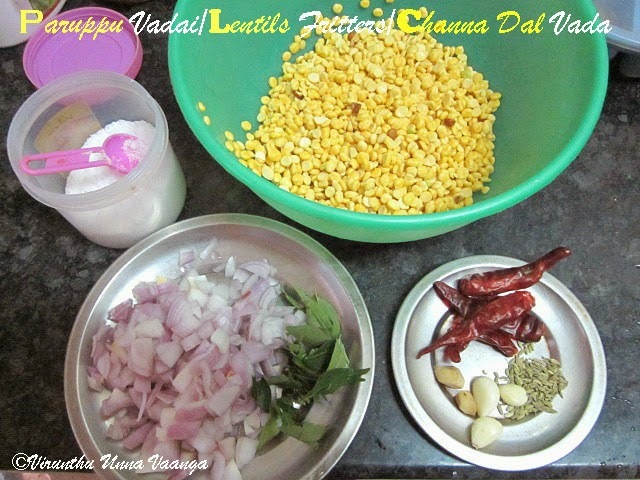 Now add with the one Tbsp of soaked dal, put onions and curry leaves mix it well. Heat oil in a pan to deep fry. 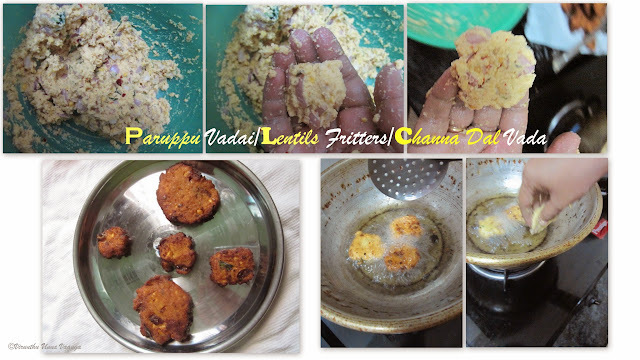 Take small ball size and flat it and deep fry it in medium flame oil till turns golden brown on both sides. 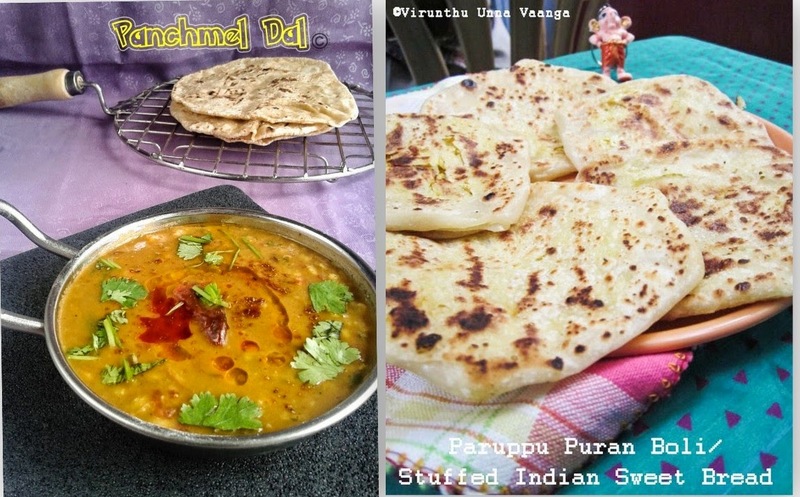 Serve it hot with variety rice or tea time. 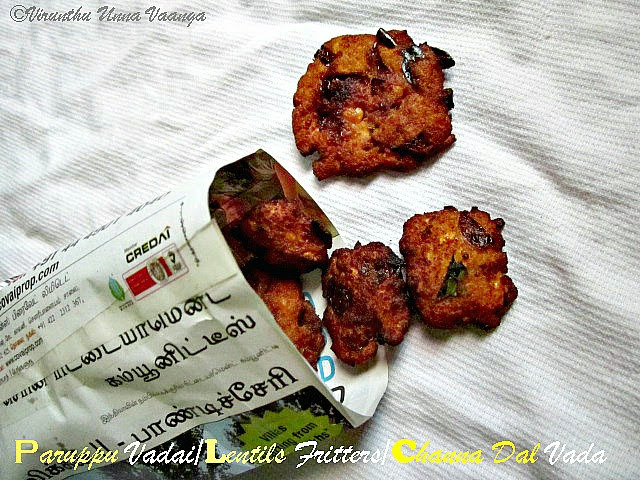 Yummy and Crispy Paruppu Vadai!!! Crunchy and mouthwatering masala vadas. Yumm! 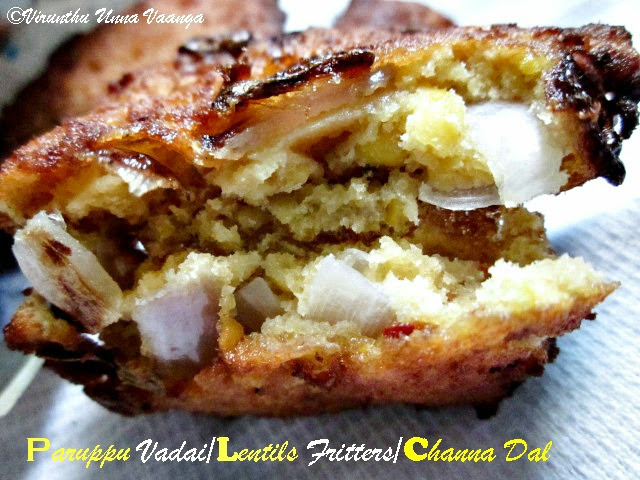 Easy & must vada for a rainy eve :) Looks perfect !! 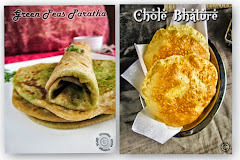 Rendu vada yeduthukalama, super tempting da.